Welcome to the wonderful public library in Newfields, NH. To enhance, enrich, and engage the residents of Newfields and to nurture the community spirit in a warm and welcoming environment that is open to all. Your public library is about books, of course. We are always here to help you find just the right one—if we don’t have it, we can request an inter-library loan for you. The origin of the Newfields town library, Paul Memorial Library, reaches back to the late 1880’s with a donation from John Broadhead. The current library building was established in 1953 with the generous proceeds of Isabel Paul’s estate. 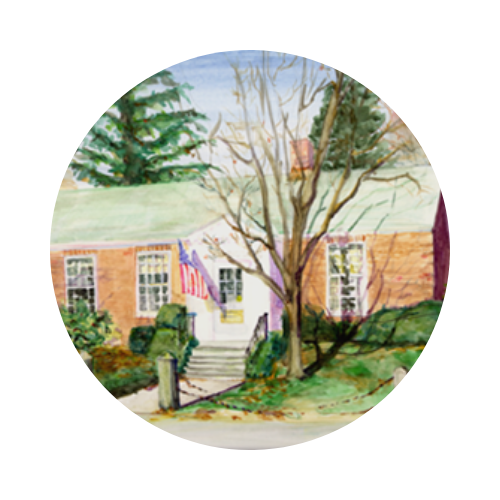 Since then the library has remained the center of many stories of Newfields residents who remember visiting as children themselves. It retains the original book collections of the Paul family as well as other Newfields residents and has a varied historical New Hampshire collection. 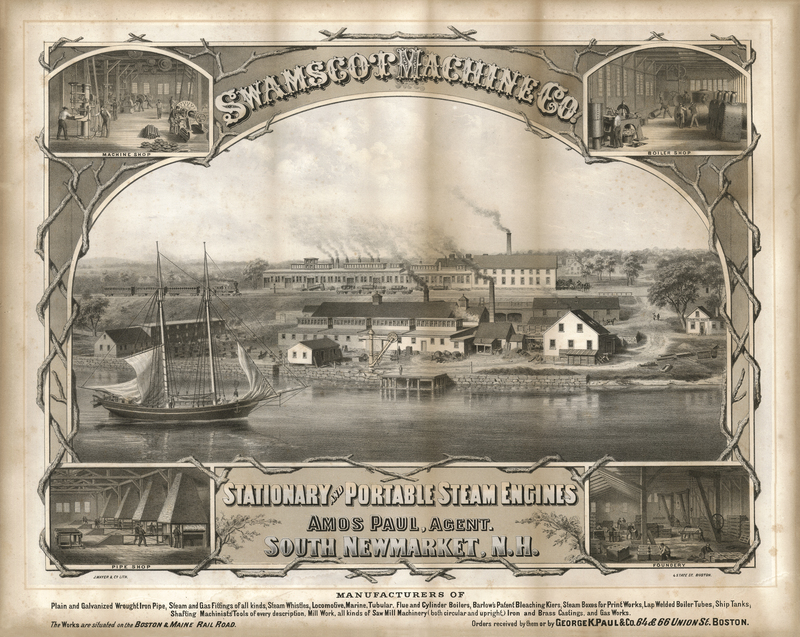 Below is a picture of the Swamscott Machine Company—owned by Amos Paul and once located in Newfields by the river. It no longer remains but we are grateful for the company’s earnings that continue to help our library operate to this day!